Please register in advance at least three days before the start date so we know how many to expect. Students will learn to paint different subjects (landscape, seascape, floral, still life, etc.) and explore a variety of techniques: realistic, impressionistic, palette knife, and glazing. 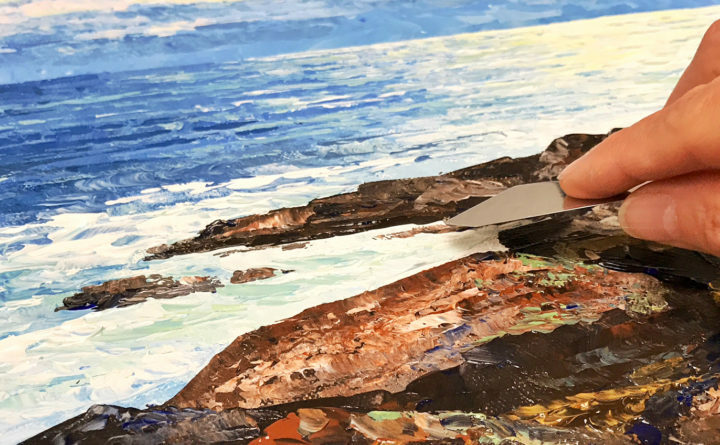 Because acrylic is water based, it dries quickly and allows you to paint right over the previous layer, which is convenient for the beginners to cover the mistakes, and great for the advanced artist for creating layering effects. Non-members: $195 for 6 weeks, or $40 per class. Members:$156. Call (207) 847-4060 for drop-in availability. Fee does not include materials. Click here for a list of recommended supplies. PLEASE NOTE: There will be no class on May 24. A make-up date of June 28 will be added. Class dates are as follows–May 17, May 31, June 7, June 14, June 21 and June 28. Along with her years of teaching experience, our instructor, Varvara Harmon, is an international award winning artist and the author of many art instruction books. View more of her work at http://www.varvaraharmon.com.